There are a lot of variables that go into a book launch – there isn’t a single template that will work for everyone – but consider approaching your book launch timeline in three phases. My husband and I have a publishing company, and we’ve published more than 50 books. That means, over the years, we’ve been involved in a lot of book launches. 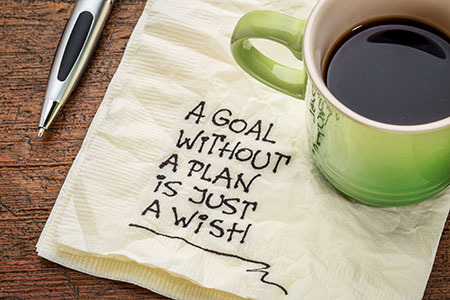 Let me share a key strategy we’ve developed that you can use in your own book launch timeline. Of course, there are a lot of variables that go into a book launch – there’s no single template that will work for everyone – but you should consider approaching your book launch timeline in three phases. Phase 1: Pre-Launch. This includes all the things you’ll need to do before your book launch. Phase 2: Launch. These are things you’ll be doing during the launch. Phase 3: Post-Launch. The many things you’ll be attending to after the book launch. 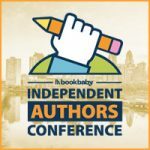 Join Shelley and a host of great presenters, speakers, and exhibitors at BookBaby’s Independent Authors Conference, November 3-5 at The Sonesta Hotel in Philadelphia! The Independent Authors Conference is the only writing conference dedicated to helping independent authors publish successfully. Register now! Don’t miss this opportunity to listen and learn from some of today’s leading self-publishing experts! The first thing to do is create and execute your “Post-Publication Checklist” (we offer one in our “Author Audience Academy“). The checklist should include everything you need to do as soon as you publish a book. For example, your list should include customizing your book description. I typically go to Amazon’s “Author Central” to add my book, customize my book description, and add any endorsements I’ve received. You should also begin assembling your book launch team during pre-launch, and the bigger the launch, the bigger the team. You should also create promo materials, bonuses, prizes, and different things for your team to use and share once the book is ready. All this should be prepared before the launch. I produced a Google document for my book launch team for my last book launch and shared it through a private Facebook group, and it worked really well. The members of my book launch team could access it to get images, quotes, and whatever they needed for their blogs to share and promote my book. You can do the same thing by creating an assets page on your website. Whichever way you do it, it’s helpful to have all your promotional material created in advance. You don’t have to create a ton of stuff, but whatever you create can be used over the entire course of your book promotion – long after the launch – and can assure that wherever your book is being promoted, the images, message, and language are consistent and controlled. One thing I did for my last launch was pull a bunch of quotes (40 or so) and create quote graphics on Canva with 3D images of my book. Maybe you can find a volunteer or someone else do this for you – and you don’t have to do 40! But now I can use all those quote graphics – plus the quotes themselves – to promote my book, and I can schedule the different images and quotes every week or so and use them over the course of a year and continually promote the book. I also had a few graphics and promotional ideas that were specifically for the book launch, mostly involving what kind of “book launch bonuses” readers could get. Another thing to focus on during pre-launch is gathering early reviews, endorsements, and other verbiage about your book. This involves sending advance review copies of your book to have potential reviewers start reading it. Then have them ready to post their reviews the day your book goes live. These are just a few things you can begin in Phase 1. And as I mentioned, you can add or exclude things based on the type of launch you are doing. During your book launch, you will have to deliver any book launch bonuses and prizes you concocted in Phase 1. How are you going to deliver your prizes (e.g. signed copied for the first 100 books, special gifts for purchases of multiple copies or multiple books)? What’s going to be involved if you’re going to have bonuses? Are you going to have somebody helping you? I recommend you automate as many things as you can. When someone buys multiple copies of my book (10 copies or more), they receive a physical gift. Once they email me their receipt, I have a canned response – an email template I can copy and paste – that I send out while I package and mail the prize. The launch is also when you can start posting your promotional material in earnest. Schedule blog posts, YouTube videos, social media posts, and emails to your subscriber lists. I recommend batching your time rather than doing a little bit of everything every day. For example, when I can focus working on a podcast, it really helps me get a ton of work done if I work on producing more than one episode. When I’m writing emails or blog posts, I try to get a number of them written and saved for use later on. Instead of scheduling things for every single day of your launch, block out chunks of time instead. See if this method works for you. If it doing a little bit every day works better, that’s fine too. It’s also very helpful to track your results. Get screen shots of milestones. For example, when my book became number one on Kindle for “Christian Counseling,” I took some screenshots of that to share as social proof of the relevance of my book. If you reach number one in the hot new release for your genre, get some screen shots. Track your sales, results, and any relevant promotional content, but be careful not to become obsessed with tracking your rankings and sales. That can cause an emotional roller coaster. Keep an eye on these numbers to see what’s working, what’s not, and where you can improve. There was a point where I was feeling overwhelmed about my book launch. This is when it was helpful to realize I didn’t have to do everything during the launch. Sure, the launch is typically going to be the biggest boost of sales, but my book, Broken Crayons Still Color, is one I’ll continue to promote long after the launch. There are always things you have to do to continue the promotion of your book after the launch. Don’t feel like you have to do everything now. Sometimes we stress ourselves out too much. Do what you can and continue to promote after the launch. During post-launch, make sure you follow up with everyone you need to. Make sure you deliver all the bonuses you promised and send all your “thank you” notes. Another thing to take care of post-launch is maintaining the web page for your book. I typically create a page for a launch and then use that same page for promotion after the launch. For Broken Crayons, the launch page was BrokenCrayonsBook.com/Go. Now that the launch is over, it’s now a sales page for the book: I removed the special bonuses and other things that were just for the launch. Another thing to consider is your long-term book marketing. I’m a speaker, so that comes really easily for me. After the launch, I work on the interview blitz, reaching out to a ton of my contacts and doing as many interviews as I can. And this is going to be an ongoing effort long after my book launch. So, long before your book is published, sit down and consider your book launch timeline and what your pre-launch, launch, and post-launch activities might include. It’s a list that will continue to grow and evolve as you have new ideas and research what other authors have done. As an author coach, business strategist, and Christian entrepreneur; Shelley Hitz is on a mission to help you reach more people with your message. She has coached thousands of authors through her books, training programs, online events, seminars, and more. Connect with Shelley and download her free training at www.shelleyhitz.com.